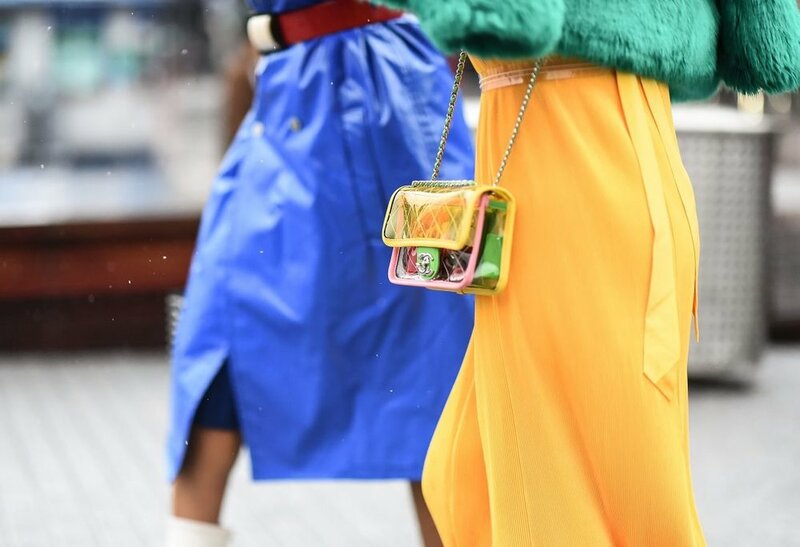 Have you seen the bag within a bag trend? 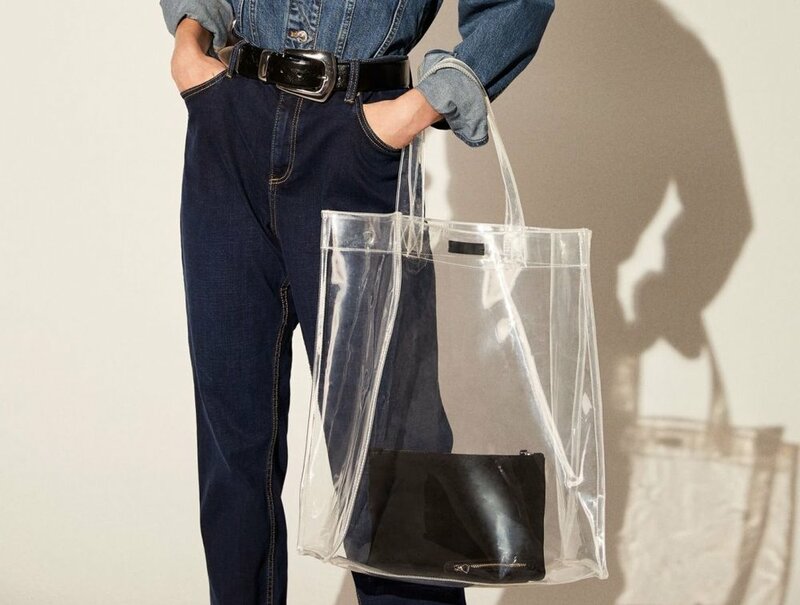 Following with the PVC trend of the moment, designers are making clear bags, but placing a smaller bag inside so you show the world some contents of your bag, but keep other private if need be. It’s a great way to add some unique flair to an otherwise normal outfit! 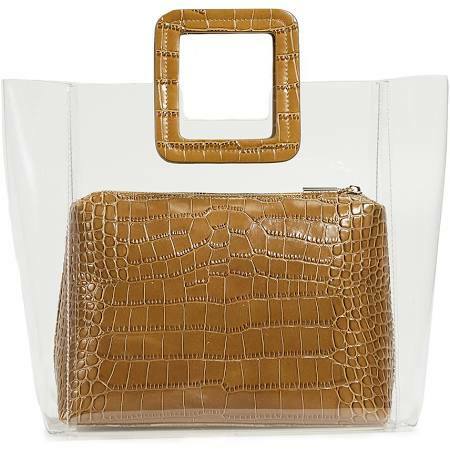 This bag blend the always trendy crocodile print on leather, with the new PVC trend. Your valuables are protected in this beautiful crocodile inner purse, but it can be carried in the PVC exterior. Think about it as getting two bags for the price of one! 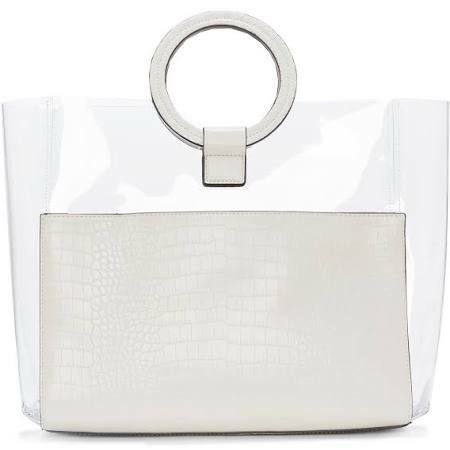 This Barneys bag is practical and also stylish. Large enough to fit everything you would need for a bag of work or school, like a laptop and charger, this bag is a fun accessory to any outfit. Pair it with some high-waisted jeans and a pair of slides. Use this inexpensive shopper bag from Mango to create the bag within a bag trend yourself. Instead of splurging on a trendy bag of the moment, buy this PVC shopper than can be used forever and add a bag you already own inside. Being trendy does not have to break the bank! 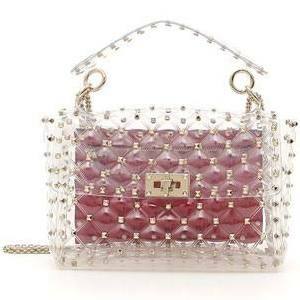 This Valentino bag is on the more pricey side, but is definitely beautiful. For special occasions or a date, this bag is big enough to hold your phone and some other essentials, while still managing to be very classy. Vince Camuto made their own version of this trend. 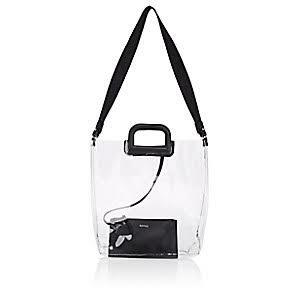 Instead of adding another bag to this clear one, they simply added a piece of leather around the bottom to keep your valuables from the public eye. An interesting twist, that makes for a gorgeous accessory! Perfect for your next resort vacation. BONUS BAG!! While this Chanel purse is only sold in their boutiques, it is too cute not to mention! The pop of color and transparency give off the vibes that you are not holding back. Definitely for people with a more adventurous style, it is adorable and would be perfect for brightening up a muted outfit or a spring day!